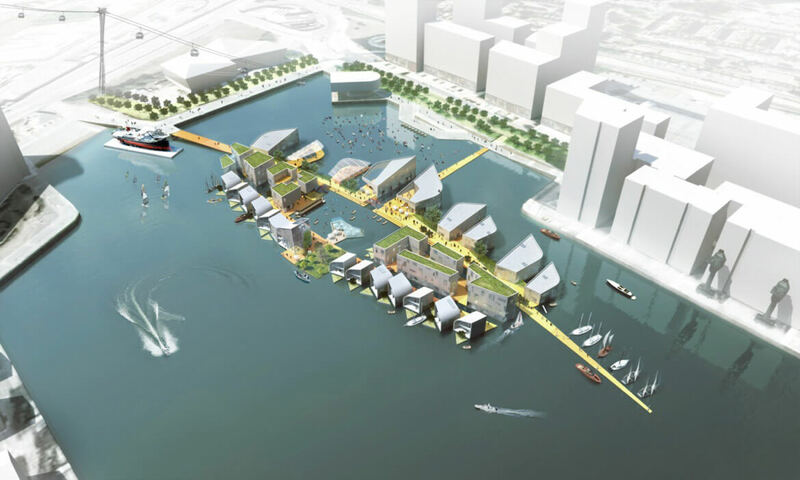 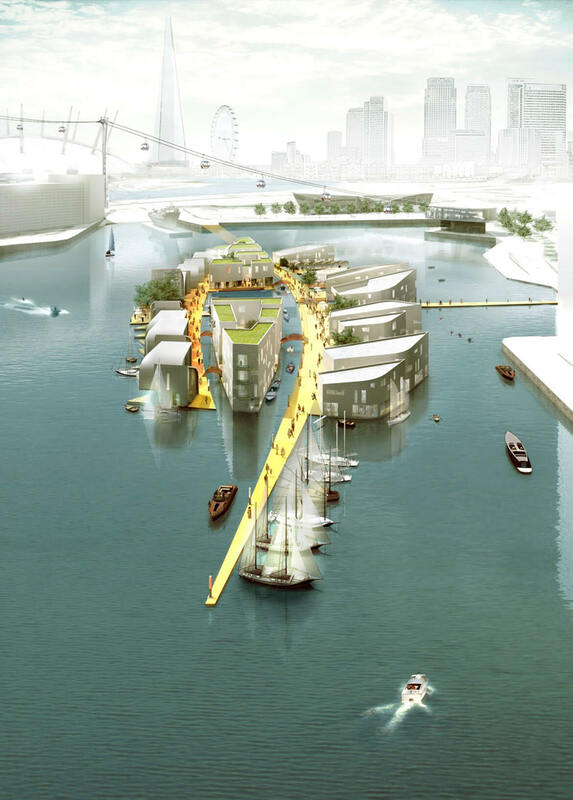 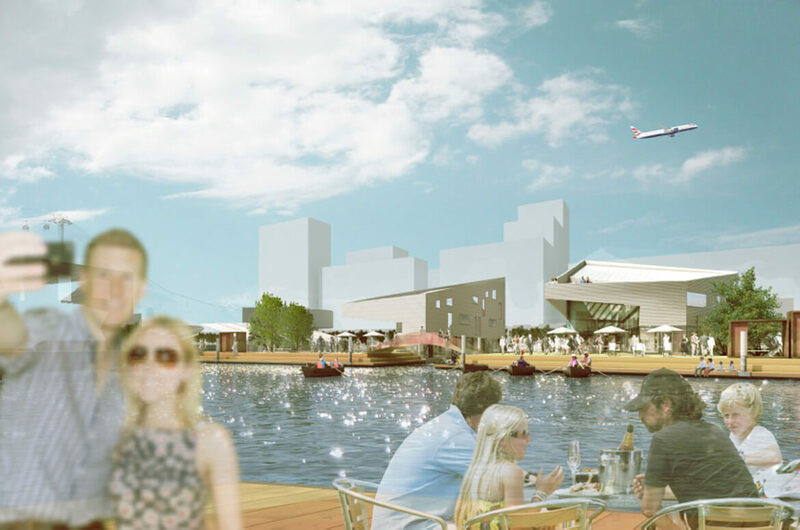 In cooperation with a view companies including BACA, Waterstudio made a proposal for a floating development in the waters of London. 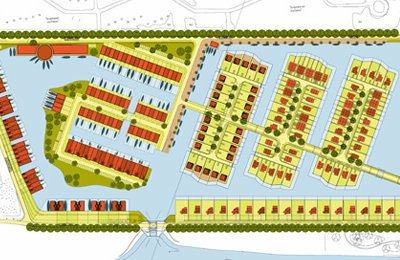 The shape of the development is based on a crown. 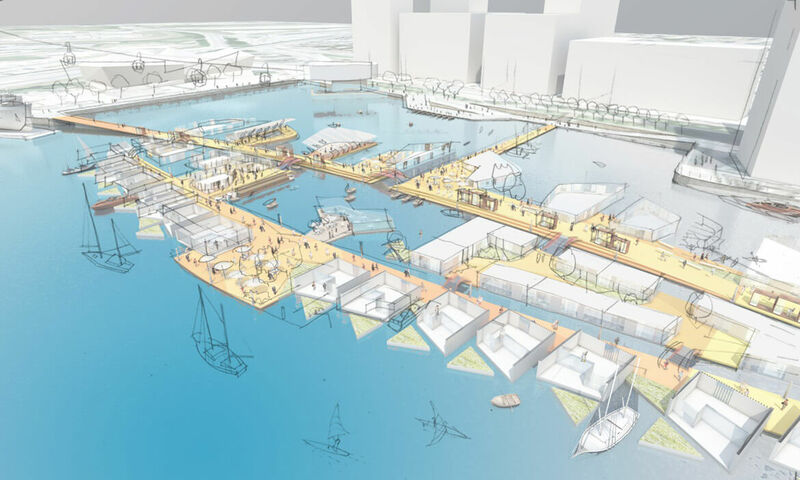 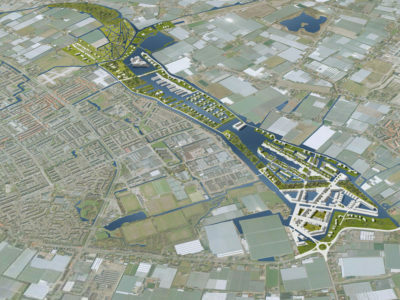 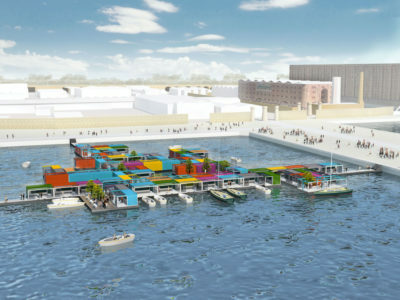 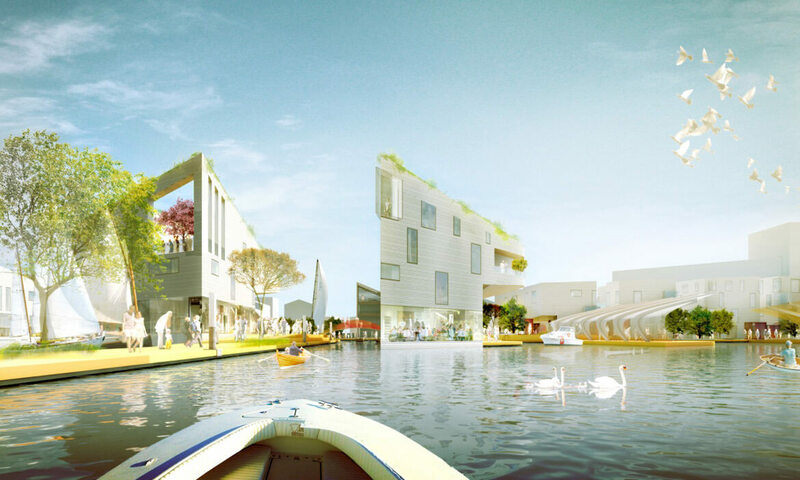 It is a design for a small floating urban development in London harbour. 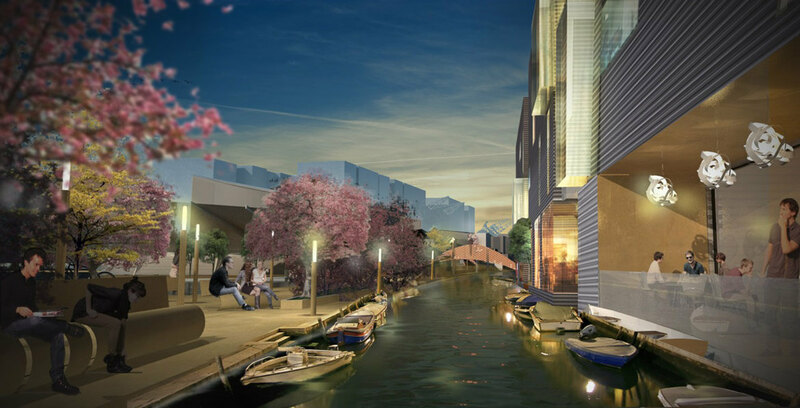 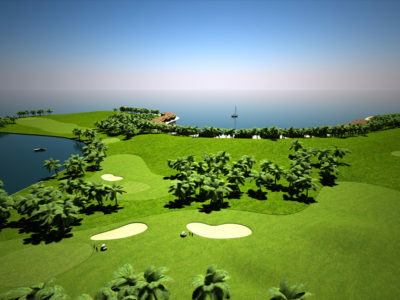 The functions of the development diverse between apartment blocks, luxurious floating villas, offices, shops and restaurants.